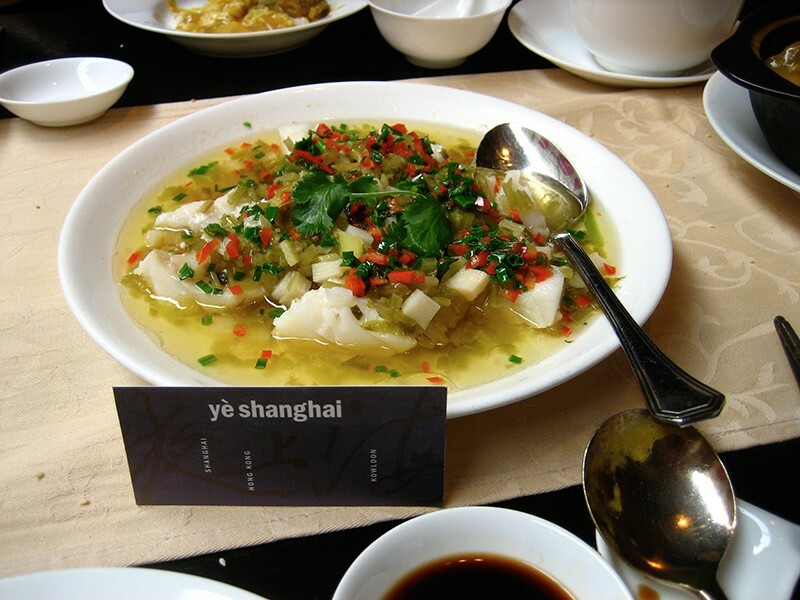 It’s been argued that Shanghai doesn’t have a cuisine of its own, and that it blends cultures and flavors from surrounding areas. But so what? This city is so large and dynamic that even the snobbiest purist will find endless opportunities for culinary exploration. And by the way, can we all agree that authenticity is overrated? Where would you rather eat? 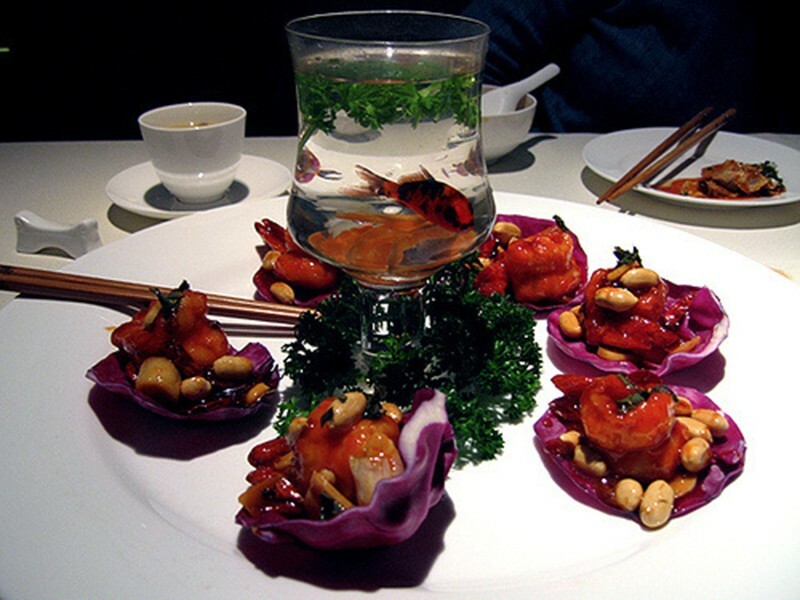 At the restaurant that pioneered this or that dish, or at the one that perfected it, or serves it in a setting that meets contemporary health standards, or offers it at an affordable price? The two restaurants I want to talk about here are both places that the food critics would probably screech about not being authentic! NOT A PURE PLAY! And they’re probably right. One of them is a chain that didn’t even originate in Shanghai. 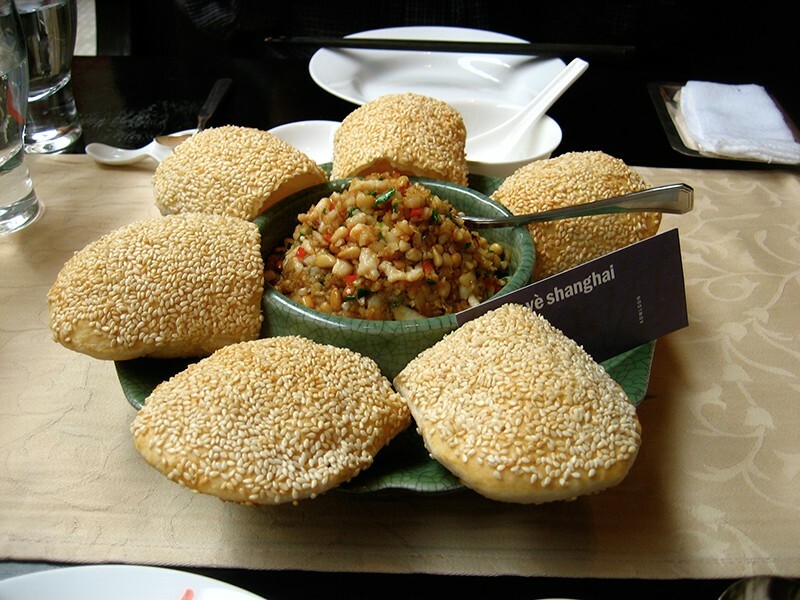 But each is among my favorites in Shanghai. 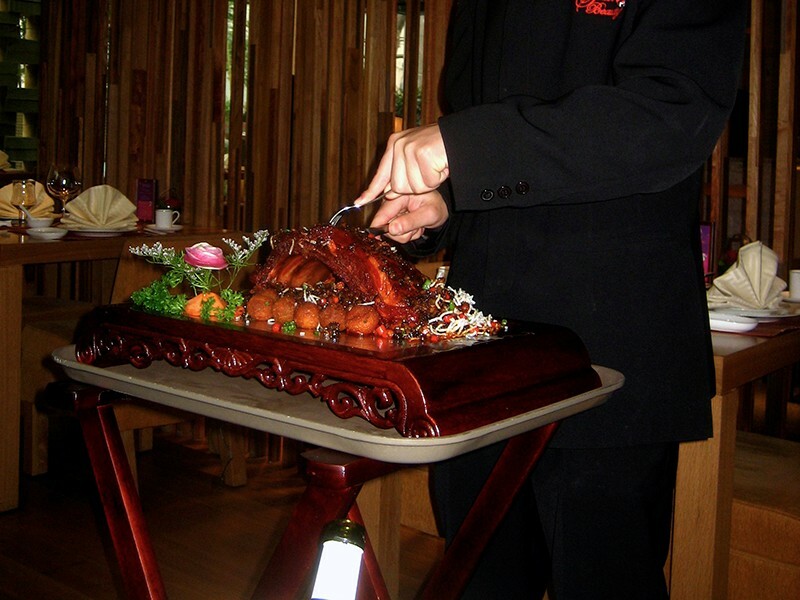 Each offers food that’s far better than good – flavor forward, with artful combinations of elements – high/low, dark/light, sweet/savory, soft/crunchy – pure yin and yang. And I found real WIT in the plating. As soon as the first dish arrived, I felt, THEY GET IT. Like I said, these are chain restaurants. In malls. In office towers. 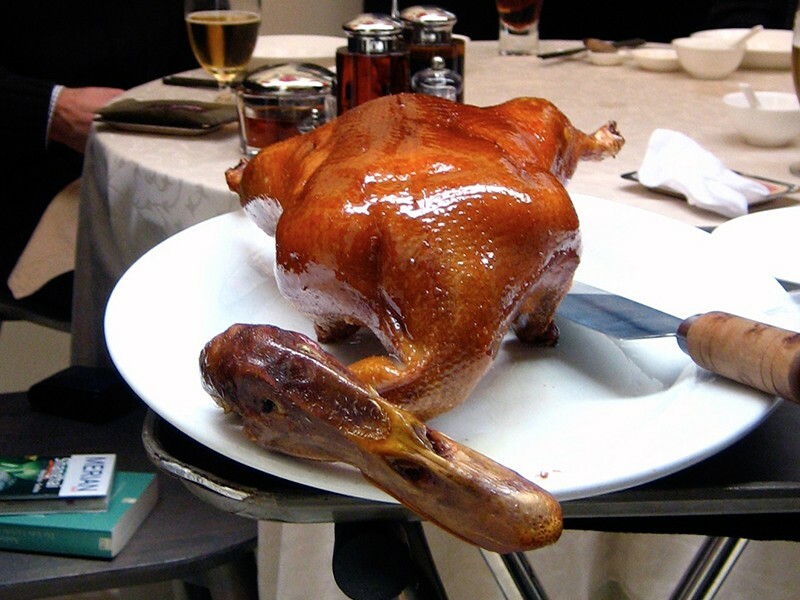 There must be three or four in Shanghai and another twenty throughout China. 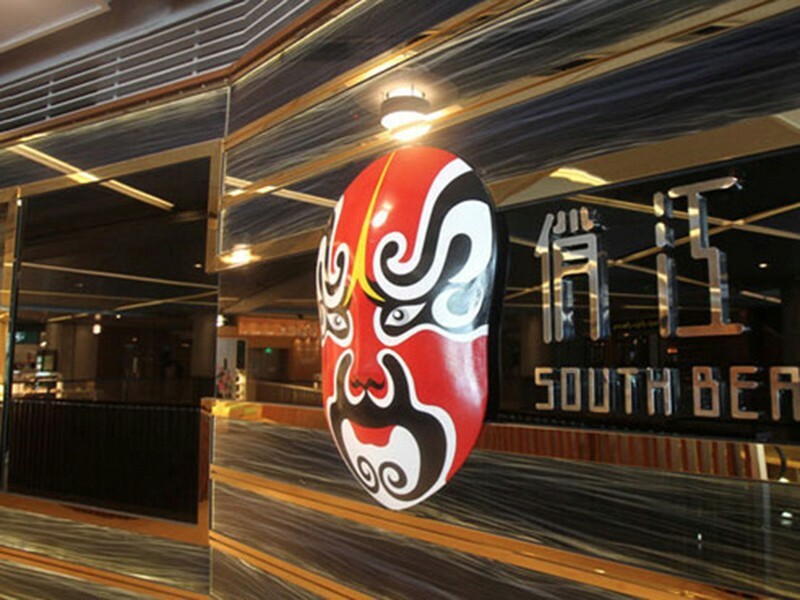 For all I know, they might be the Applebee’s of China, but damned if I didn’t love them. I’ve been to two locations, and the one I recommend is in the Super Brand Mall on the 10th floor (the mall rises eight floors. Then you take an escalator to 10). 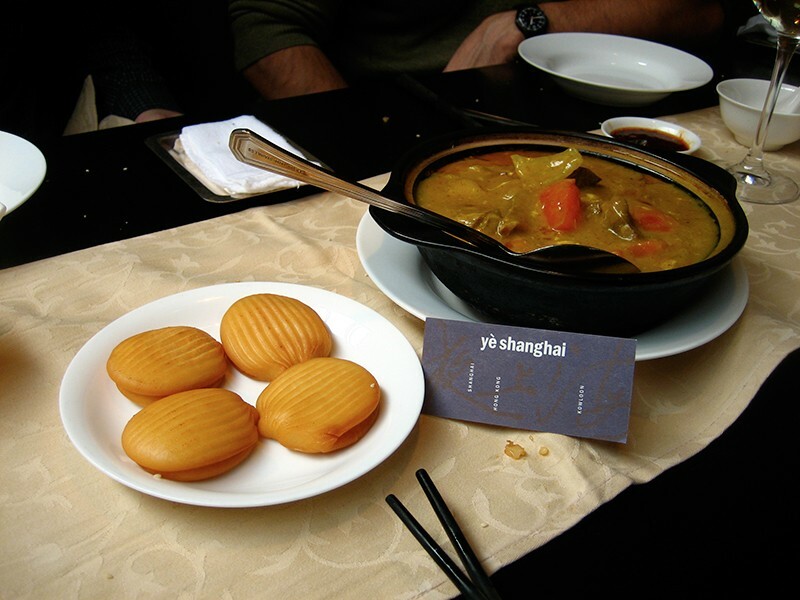 Get a window table overlooking the Huangpu River and the Bund. The spaces are stunning, by the way. 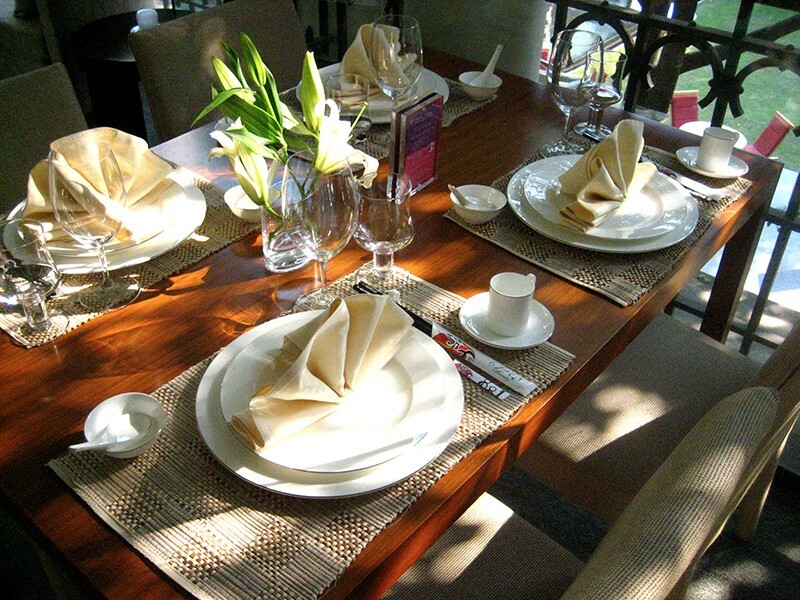 Serious money was spent creating gorgeous dining environments. 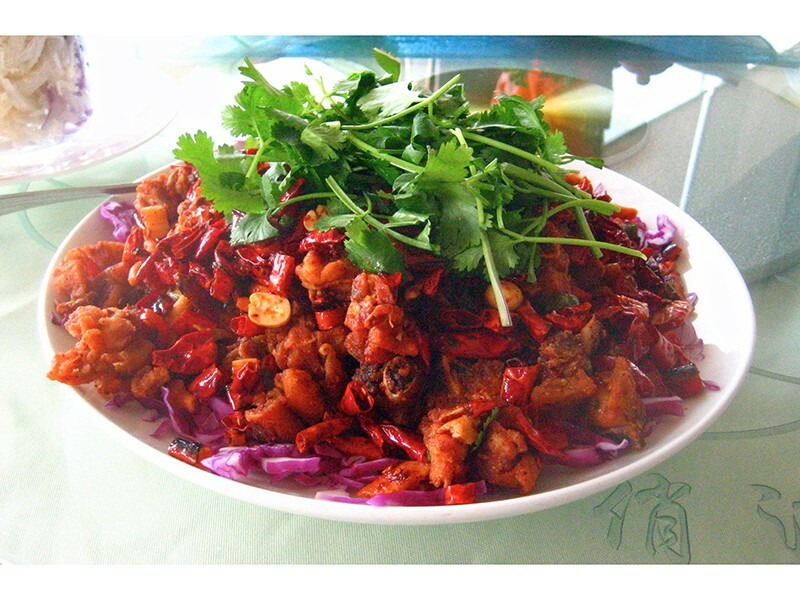 The preponderance of the lengthy menu tilts toward Szechuan, so prepare for spicy food – although I suspect that the staff will tone it down for you, no matter how vociferously you insist that you want spicy food. They just don’t believe we Americans (especially us pasty white Midwesterners) can handle it. 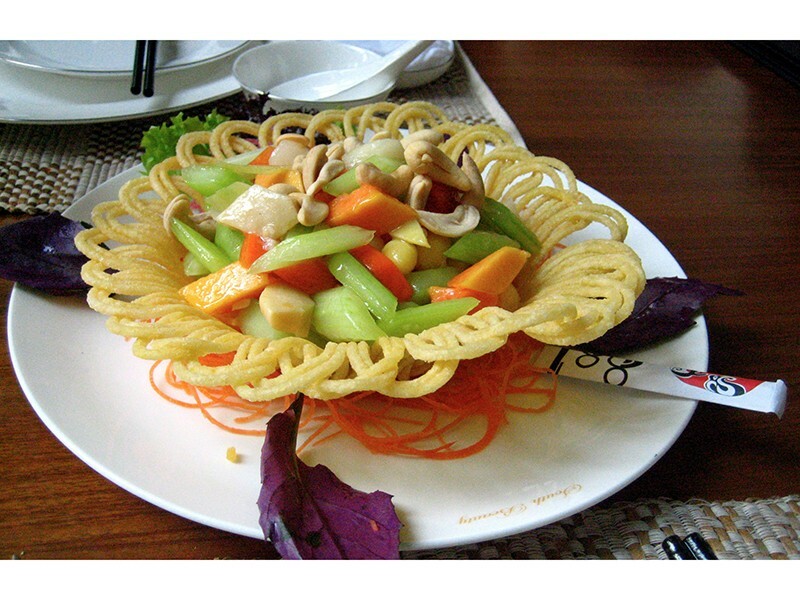 In any case, the food is excellent across the board, and the presentations uniformly beautiful. Once you’ve had your fill of the charming earthiness, shrill sounds and the grit of the food stalls and sidewalk vendors, a change of pace might be refreshing. 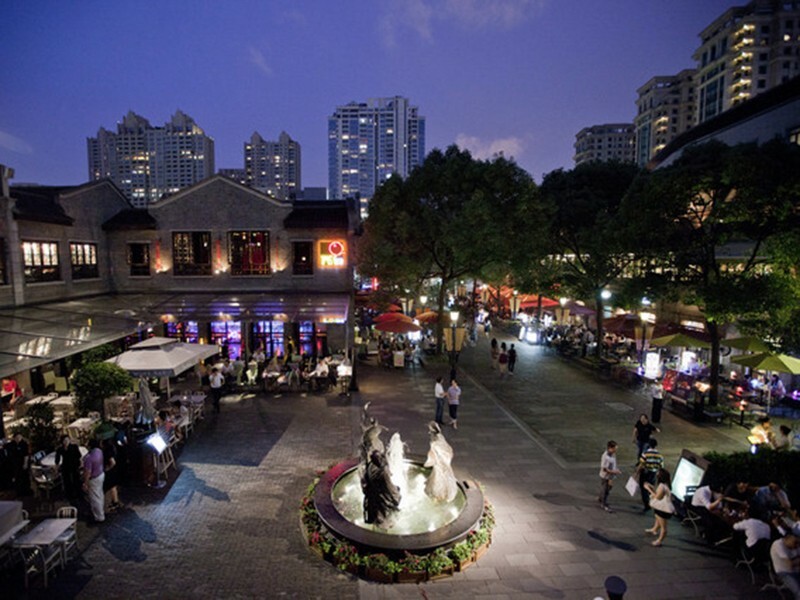 Head off to the Xintiandi district, southwest of the French Concession, for the day. Most of the old Shanghai has long since been demolished, but this will give you a sense of its former scale. 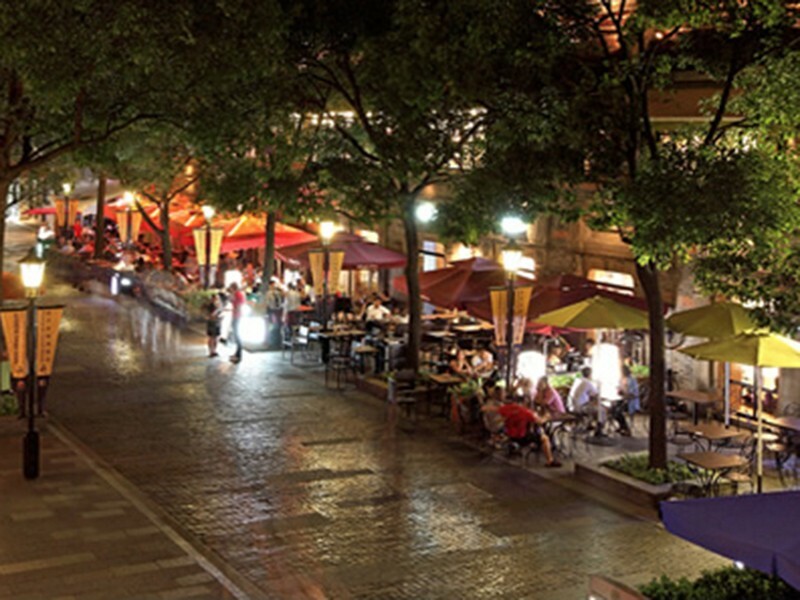 In the late 1990s, the giant Chinese developer Shui On and the American architect Benjamin Wood partnered in an ambitious effort to preserve and transform the neighborhood into a car-free zone. It was a spectacular success. 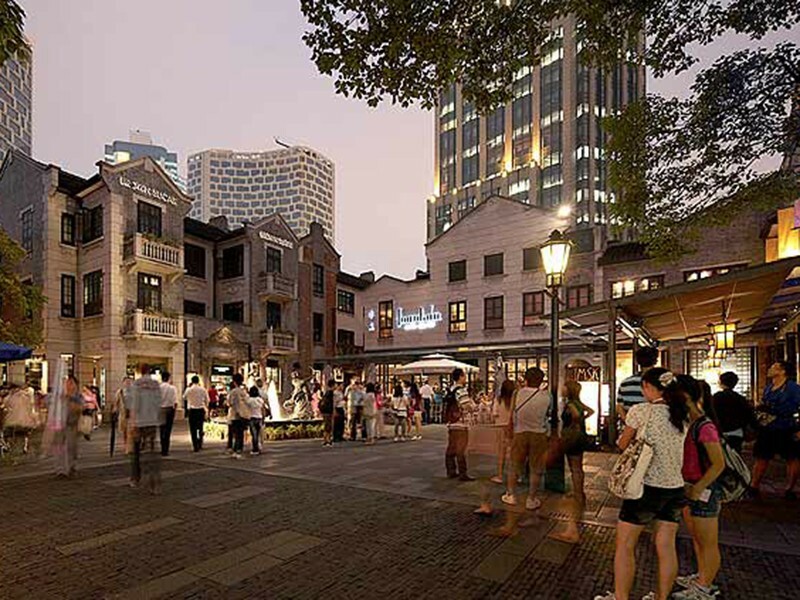 Some of Shanghai’s most stylish restaurants, boutiques and galleries set up residence here. The 19th Century architectural attitudes of the remaining buildings is called “Shikumen,” which roughly translates into the blending of Western and Chinese styles – the meeting of yesterday and tomorrow. 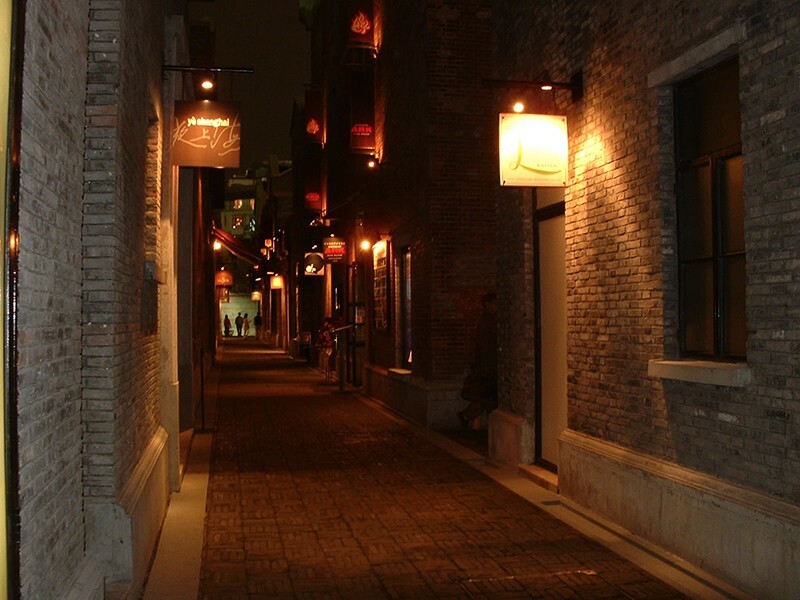 Although located on a narrow street, it’s relatively easy to find. Don’t come here for FINE and FANCY and EXPENSIVE cuisine, but do expect a degree of refinement, both in the cooking and service. Prices will be roughly on a par with the upper end of what you’d pay for polished casual in Minneapolis. 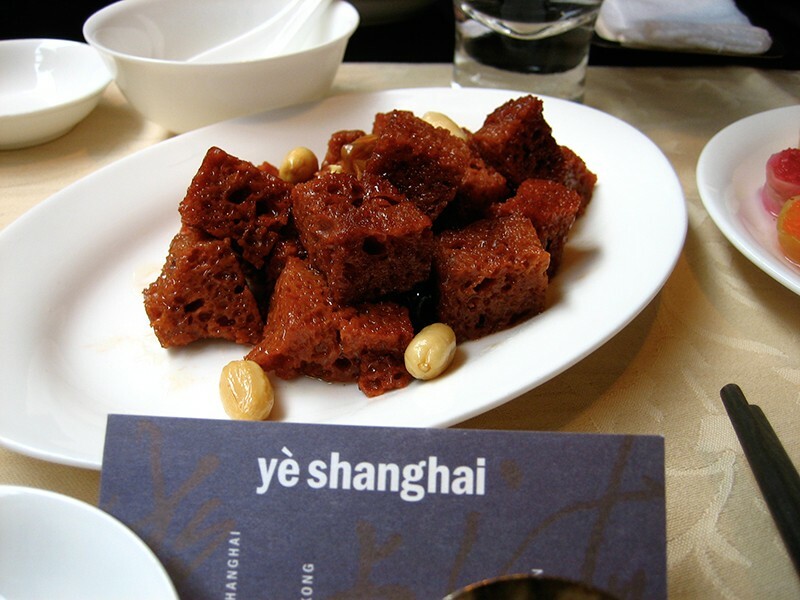 Ye Shanghai’s food seems to evoke the Shikumen architecture — “tradition greeting tomorrow.” The flavors are true to the cuisine, but the interpretations are contemporary. 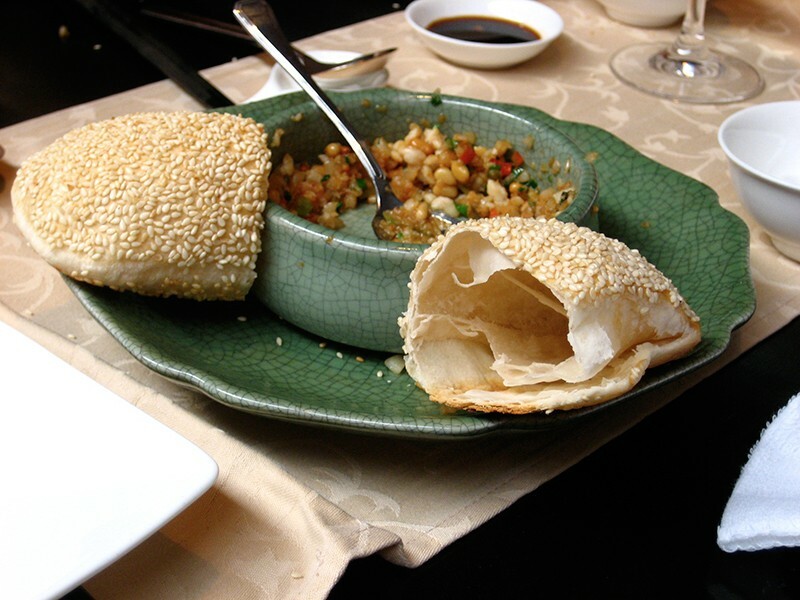 Whatever else you order, don’t miss the Minced Chicken Pastry Pockets (I’ll include a photo here) or the deep fried pork ribs… Get ‘em!!! 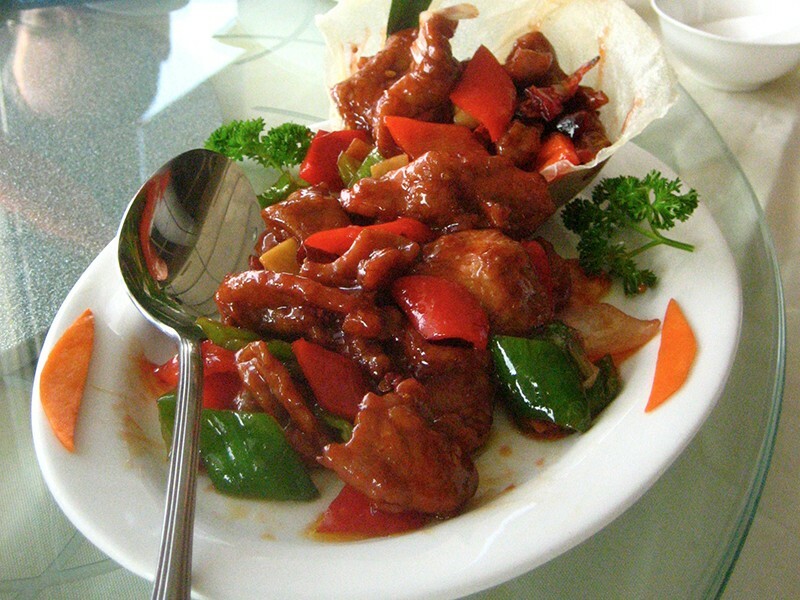 Try a curry dish or two as well. 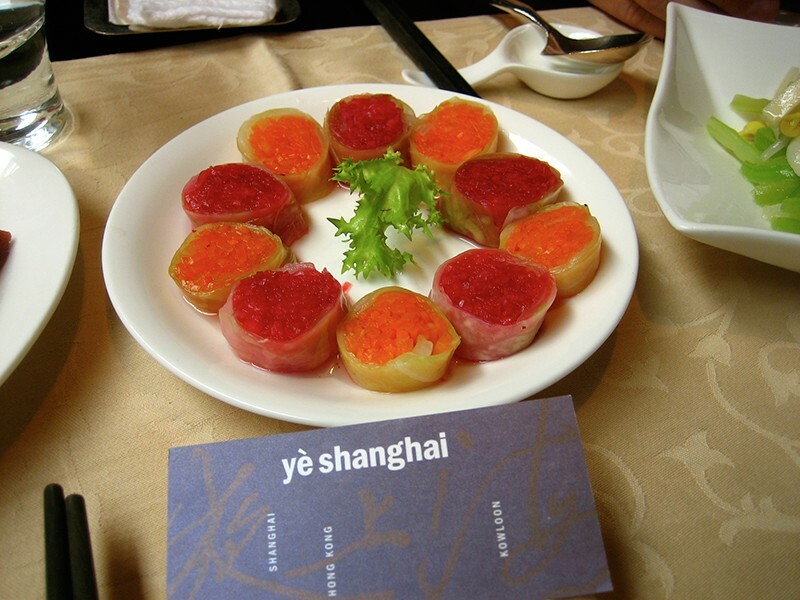 Word is that Ye Shanghai does a great Dim Sum Sunday brunch, too, but I can’t vouch for it personally. 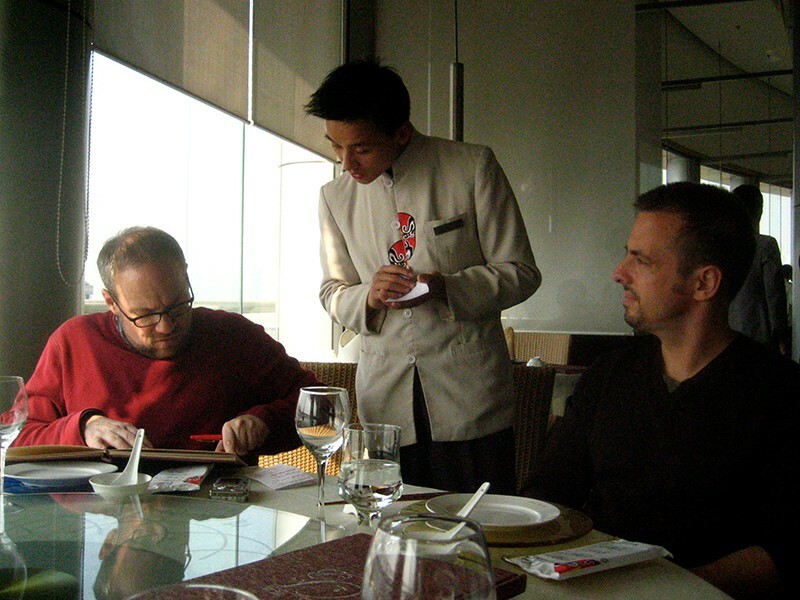 I can tell you this, however: Making a reservation is a smart idea. If we hadn’t had one, we’d have had to join a pretty long queue. 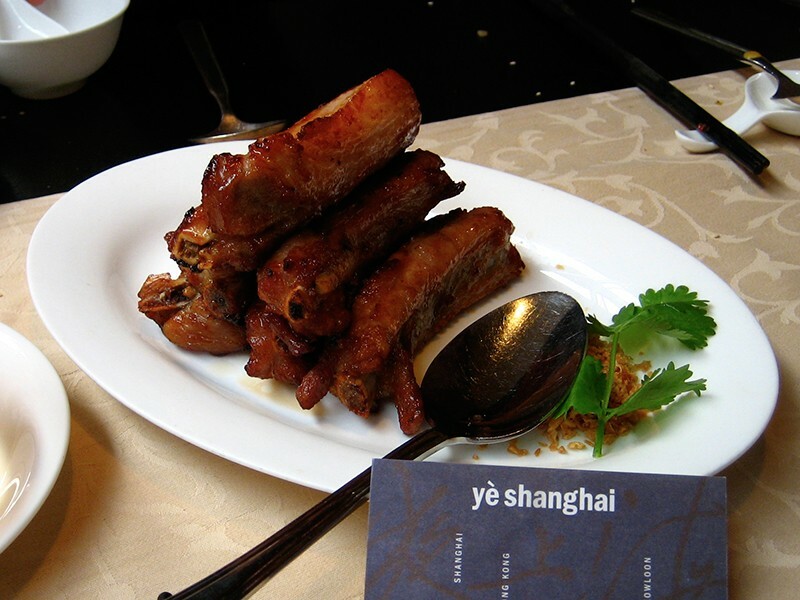 By the way, if you’ve never been to Shanghai and have the opportunity to go, it’s thrilling. The scale of construction, the optimism of the people, the sheer energy on display here are dizzying. Plus, it’s fun to ride the mag-lev train from the airport to Pudong.